Love is not easily provoked, nor rude. At times when one is ill, the spirit is easily provoked and mannerisms are at times rude. The brunt of the short provocations is usually family members/close friends. Retorts are sharp and callous, seeking self comfort, sympathy for one’s ills, discomfort, pains and bad days. The mean spiritedness blocks the view of our “brother’s” burdens. If some are seen, ours are much worse and our major focal point. Is this reflecting God’s love for our “brother?” Focusing on self, in essence, neglects others. 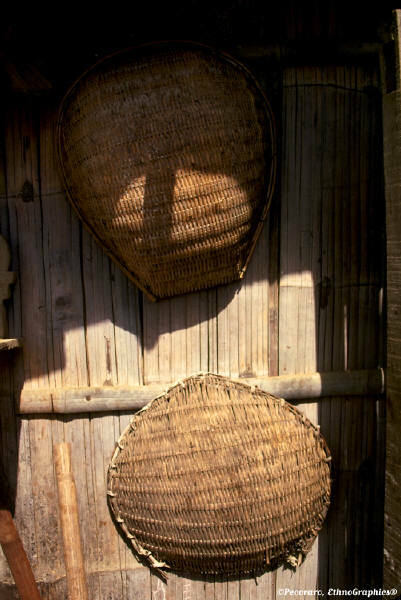 We wear a basket over our heads and block out God’s light and love. We prevent it from being spent on His glory. Lord, forgive me of the times when my main concern is my own pains and sufferings. Clothe me with your Holy Spirit, speak to my heart in words of understanding, strengthen my soul with your power to reject these arrows of Satan . . . and focus on your work among us and through us. For your glory we ask this. Amen. This entry was posted in Devotionals and tagged brother, Glory, grace, Jeanne Webster, light, love, neglect, oil of gladness, pains, reflecting god, wisdom. 37 Then shall the righteous answer him, saying, Lord, when saw we thee hungry, and fed thee? or athirst, and gave thee drink? 38 And when saw we thee a stranger, and took thee in? or naked, and clothed thee? 39 And when saw we thee sick, or in prison, and came unto thee? Without a doubt Jeanne! I honestly don’t give Satan that much credit as I do the many who have deliberately chosen to shut off their conscience ~that is why we will be judged.. satan has had his judgment day when cast out. What do you believe ? I think we are being judged now with “ears that don’t hear, eyes that don’t see, hearts that don’t weep” as a rule because we have not CHOSEN to use them for His glory. I am guilty of that. Now feel set aside for larger use because of this. My age and health are going against my “rathers” and perhaps it is so I will stick with the tools He wants me to use to witness with. My writing? We all feel we have dropped the ball, I know, but when it gnaws on your spirit, one feels the need to hasten things up a bit. If I could sit up all night and write, I would! On the other hand, God knows our frames and will have mercy where he will have mercy. That gets back to Hid blessed GRACE. Amen! to God be the glory. Amen! Neat baskets to illustrate your work! Love the baskets! Have you made any, Linda? Someday I’d like to try. To Him who is and was and always will be, amen! No but my Uncle Ernest made white oak baskets. I loved to sit and watch him work. He would go out and find the trees; strip; and whatever else came before starting the weave…I wish I had learned from him. Oh, Linda, what a treasure! Do you have any baskets left from the past? Awesome. I gave most of them to my children, however, I think I kept three. I thank God for His grace….I’m nothing with out Him!!! How can I say thank you to Him….by spreading the Love that He so Generously has given me. Thanks for a blessed blog!! !